"A Rally of Writers" is hosting their 32nd annual writers conference tomorrow. 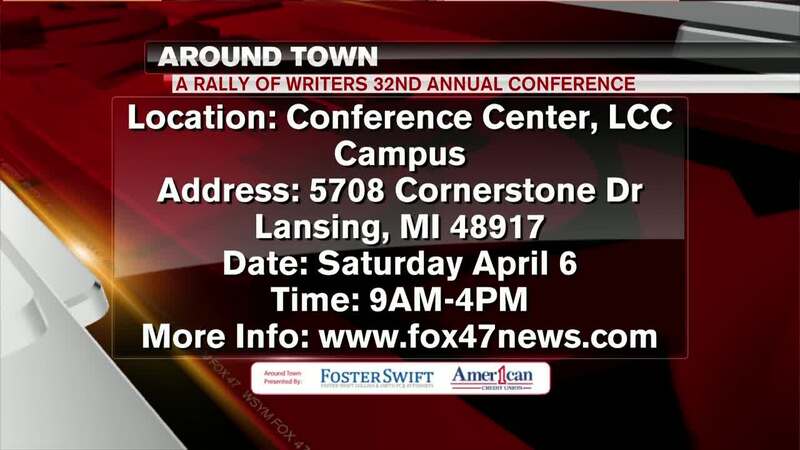 LANSING, Mich. — "A Rally of Writers" is hosting their 32nd annual writers conference tomorrow. The event runs from 9am to 4pm at the Conference Center on LCC's West Campus in Lansing. For more details, including pricing and the list of those presenting, head to this event on our website at fox47news.com.